Recently we captured Mary and Kevin's sweet wedding day, and it was wonderful. An intimate wedding day at its finest. They promised to forever in the morning, surrounded by trees and mountains and treasured loved ones. Eleven family members and close friends, and their two beloved pups to be exact. 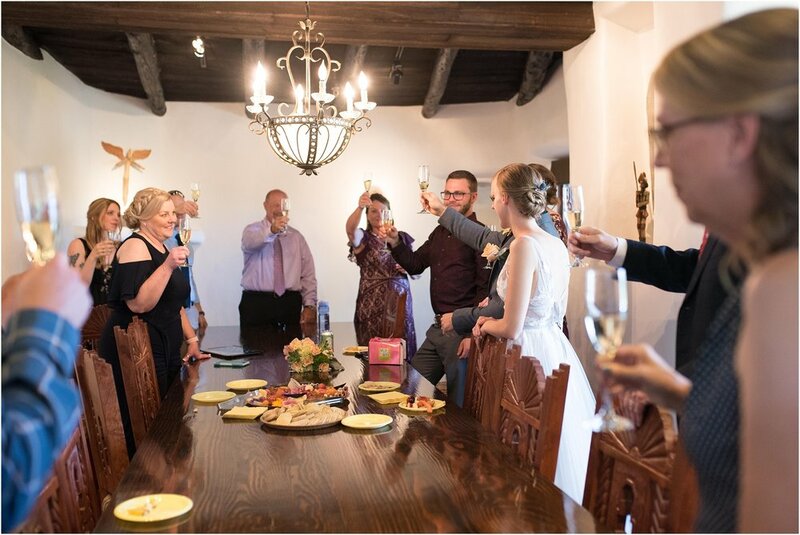 It was a small guest count but the love was of abundance, and they smiled big as they toasted to all that’s to come, and ate cake while loved one’s chatted through the afternoon. Their plans for the rest of the day: to do anything they wanted… and I couldn’t love that idea more! It was a day that was gorgeous in every way, and we’re so thankful to capture such a special day!